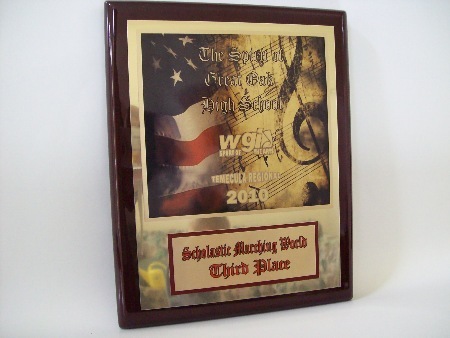 One of many plaques awarded at the Great Oak High School "Temecula Regional" band competition 2010. 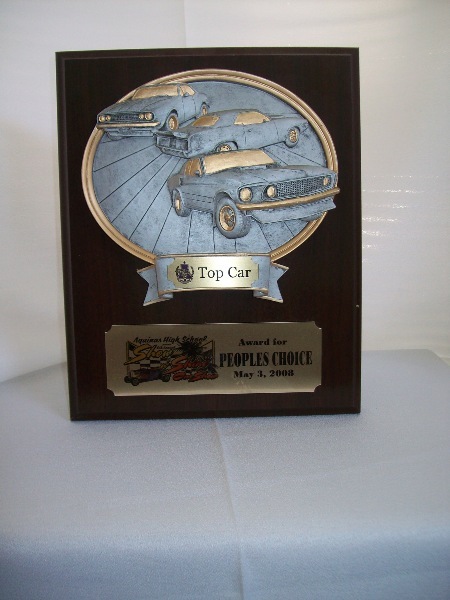 This plaque is for 3rd place. 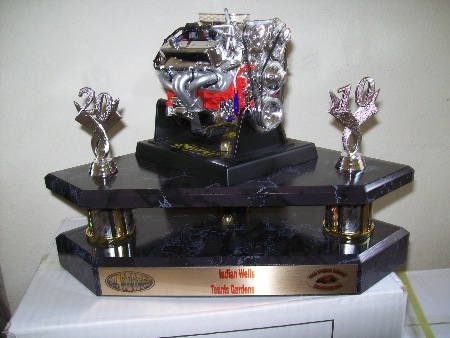 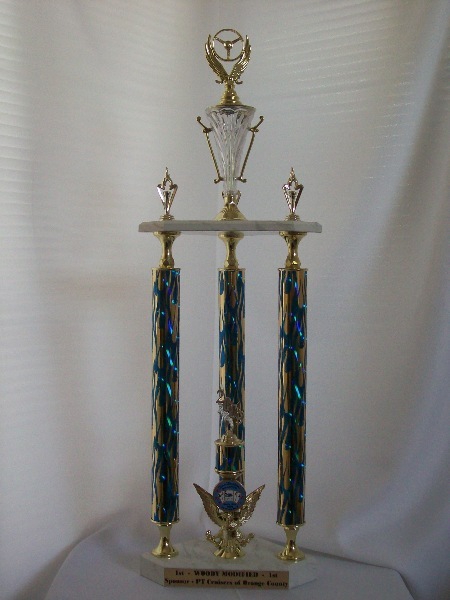 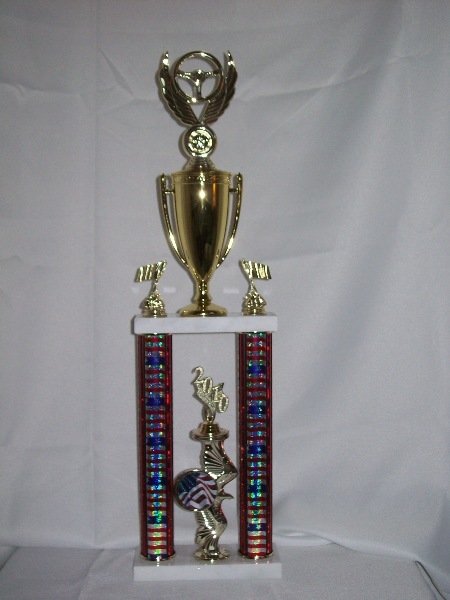 One of three Top Theme trophy. 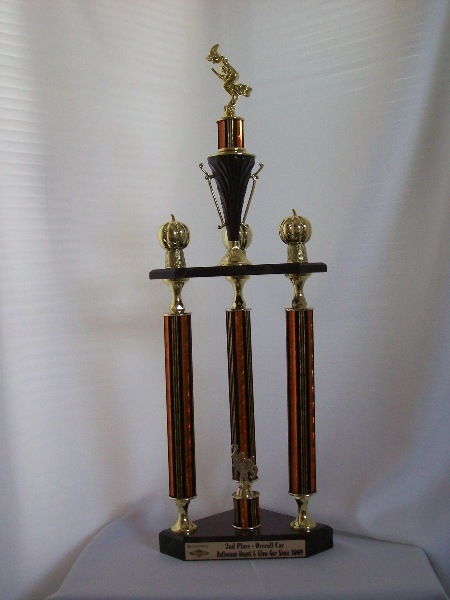 Double column with red,white, silver columns. 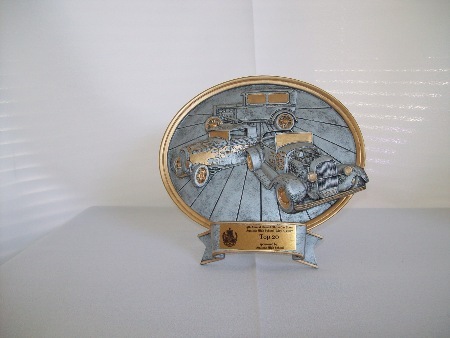 Award given at the PT Cruisers of Orange County Annual Picnic 2010.